Under the Sea? Under the weather, more like it. Now, now. That’s obviously intended for “National Georgia O’Keefe Day”. My prom theme was “Soon Your Girlfriend Will Leave for College and You Will Wonder What You Were Thinking”. 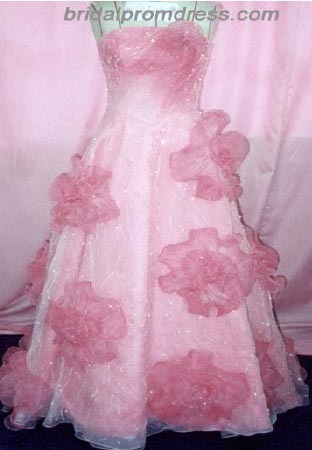 OMG, talk about Anemone of the People!Yes, I would wear it – pink jellyfish and all. I will have to soothe my Pink Jellyfish Longing with the pink velour cloche I saw the other day, with the biggest pink – cherry blossom? Dogwood blossom? heck, flower – that I’ve ever seen on it. Who wouldnt lov that dress? !its amazing! !